When the stock market crashed in 1929 leaving shattered lives and a fatigued economy throughout the United States, Asheville carried the heaviest burden of all. Yet like many American cities, Asheville celebrated a booming economy in the 1920s, blissfully ignoring an awaiting financial doom. 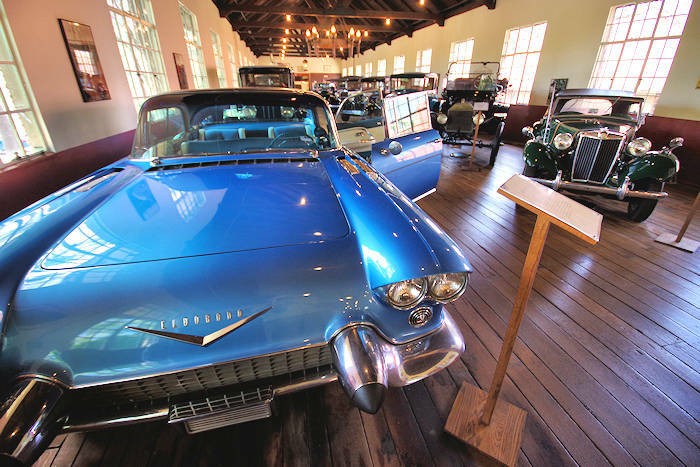 See our guides for: Asheville Museums & Historic Sites, Top 10 Civil War Sites and Top House Museums. Confidence soared in Asheville as a thriving downtown quickly filled with shops and buildings to become known as the hub of Western North Carolina. The Pack Memorial Public Library moved into a new building in 1926. The striking new structure was constructed out of Georgia White Marble. Also during this era, a new courthouse, built of brick and Tennessee limestone, was dedicated on December 1, 1928. During the early 1920s, dignitaries and celebrities from throughout the world ventured to Asheville seeking sweet mountain air. It was a time when famous author F. Scott Fitzgerald enjoyed the luxury of the Grove Park Inn along with presidents and other statesmen. Thomas Wolfe came home to visit, and was well received. Numerous new housing developments accompanied Asheville's economic expansion. Grovemont, Kenilworth, Malvern Hills, Beverly Hills and Hollywood were clipped from surrounding farmland and boasted lots through local advertising. Asheville's thundering financial boom was silenced abruptly on Nov. 20, 1930, when the Central Bank and Trust Company, major holder of county funds, closed its doors. Collapse and ruin descended on Buncombe County as holdings plummeted from nearly $180 million in 1927 to $80 million in 1933. Massive debt for the city and county loomed as schools and sanitary districts were robbed of much-needed funds. Asheville retained the highest per capita debt of any city in the country, yet founding fathers vowed to pay every cent the city owed. Creditors received their payments and Asheville struggled until 1977—the year financial shackles were loosed and all bonds were paid. Days of depression and strain have achieved for Asheville a rich history worthy of exploration by any visitor to the Land of the Sky. The curious are drawn to consider the city's Art Deco abundance, E.W. Grove's Grove Park Inn Resort, indigenous arts and crafts and the opulent splendor of Vanderbilt's Biltmore, none of which might have been possible had a lone pioneer with his family around him not shown courage. 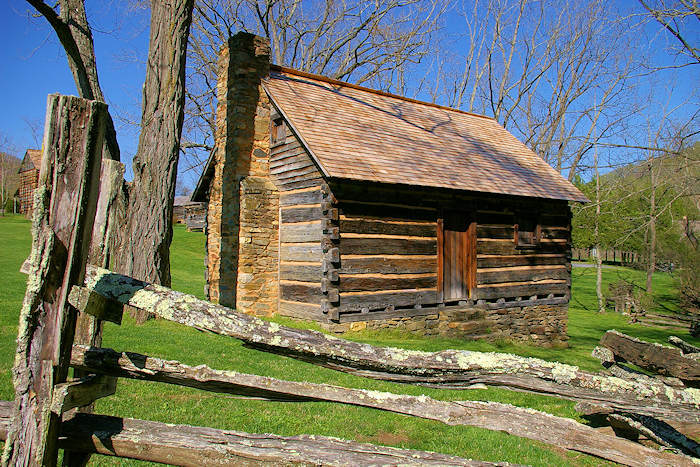 Carrying all of his belongings in 1784, young pioneer William Davidson, his wife and children moved their belongings through the Blue Ridge Mountains to settle in what is now known as Buncombe County, becoming the first settler family in the area. Davidson and his family established an area that would one day become the mountain resort city of Asheville. 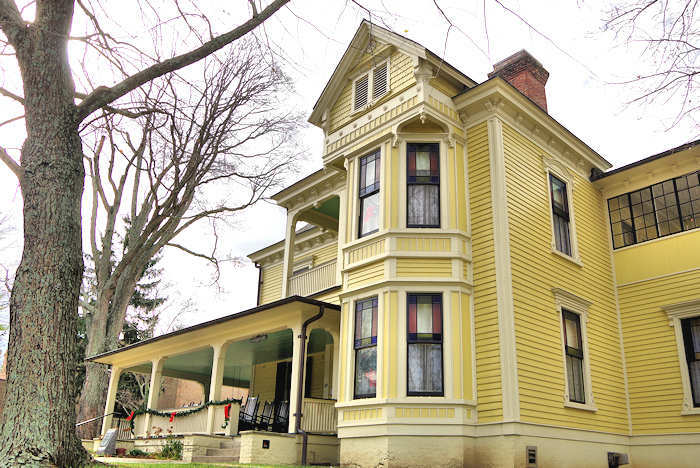 The Davidsons lived on Christian Creek in the Swannanoa Valley area known as "Eden Land." A permanent settlement was founded in this valley in 1785. 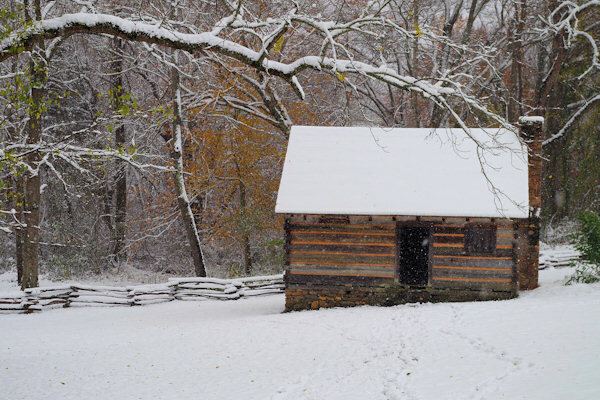 Proliferation of these homesteads led to a legislative act initiated by Colonel David Vance and Davidson, establishing Buncombe County on December 5, 1791. What is now Pack Square boasted then a small log courthouse. Founding of the county led John Burton in 1793 to establish a large settlement from state land grants he named Morristown. He marked off and sold 42 half-acre lots for approximately $2.50 each. This area was incorporated in 1797 and renamed Asheville in honor of Gov. Samuel Ashe. The population of Asheville grew by increments, expanding over the years from 500 people in 1840 to more than 65,000 in 2000. It became known as the hub of activity in Western North Carolina. Completion of more roads stimulated population growth. Asheville's population today is around 92,000. A road parallel to the French Broad River made a path into east Tennessee in 1828. This passage opened the gateway from the west, bringing settlers driving herds of hogs, sheep and cattle from Kentucky and Tennessee. The "Asheville and Greenville Plank Road," completed in 1851, expanded commerce. At this point, more affluent community members recognized Asheville as a health resort. This designation attracted the wealthy from all over the South, arriving on four- and six-horse stages. Asheville was not always known as peaceful, elegant or especially inviting. This mountain city became a vital Confederate military center during the Civil War. The first company of soldiers west of the Blue Ridge Mountains, the Buncombe Rifles, carried a flag made from the silk dresses of town belles when it marched on April 18, 1861. Seven of the 10 companies comprising the 60th North Carolina Regiment were Buncombe men. Francis Tiernan established another popular landmark description for Asheville in 1878. Writing under the name Christian Reid, Tiernan used the phrase "The Land of the Sky" to describe Asheville. Thousands of people in and throughout the area recognized the phrase immediately and spread Asheville's name. The late 1800s brought the new railroad industry and an entirely fresh and hopeful future to Asheville. The railroad made it across the Eastern Continental Divide and into Western North Carolina in 1880. Trains brought money, power and a taste of affluence to Buncombe County. A young aristocrat from New York visited Asheville in the 1880s with his mother to see what he described later as the most beautiful place in the world. George W. Vanderbilt purchased 125,000 acres, and eventually constructed what is now America's largest private residence—Biltmore. He commissioned renowned landscape architect Frederick Law Olmsted to design the grounds and gardens, and celebrated architect Richard Morris Hunt to help him plan the house. It took hundreds of workers from 1890-1895 to complete the 255-room, French Renaissance chateau and surrounding grounds. Read more Biltmore House History. As the 1900s approached, Asheville's economic growth exploded. Religious assemblies, an opera house and a convention auditorium drew urban culture to the area. The "Asheville Board of Trade," developed by the Chamber of Commerce in 1900, devised national advertising campaigns labeling Asheville one of "the leading convention cities in the country." Architects Richard Sharpe Smith, Douglas Ellington, and Ronald Greene designed buildings that would, one day, augment Asheville's diverse city center. Today, structures such as City Hall, the Jackson Building, First Baptist Church and the S & W Building help downtown Asheville retain a southeastern Art Deco collection second only to that of Miami Beach. The Langren Hotel in 1912, Grove Park Inn in 1913, and the Kenilworth Inn in 1918 served to expand further the luxury resort industry in Asheville. The most enduring of these, the Grove Park Inn, was founded in part because of a case of bronchitis. In his travels, Edwin Wiley Grove visited and became enamored with a rustic, yet grand mountain lodge at Yellowstone Park. Grove searched in vain for an architect who could design a luxurious inn suitable for a mountain setting. Angry and frustrated by the fruitless endeavor, Grove turned to his son-in-law and Atlanta journalist Fred Seely, a young man with no architectural experience. The novice builder specified granite boulders from Sunset Mountain on which the inn was built, and red clay tiles from Tennessee to accentuate the extravagant hotel. The Grove Park Inn Resort endures today as an historical site in Asheville, welcoming guests with a celebrity hall of famous visitors including: Mikhail Baryshnikov, Burt Reynolds and George Bush. The Rogues Gallery features photographs of famous visitors from the early 1900s including Calvin Coolidge, Henry Ford, Thomas Edison, Will Rogers and dozens of others. Contrasting the lavish atmosphere surrounding the city in the early 1900s, the Great Depression of the early 1930s sent Asheville on a downward spiral economically and psychologically. The depression brought financial devastation to Asheville from which it was slow to recover. 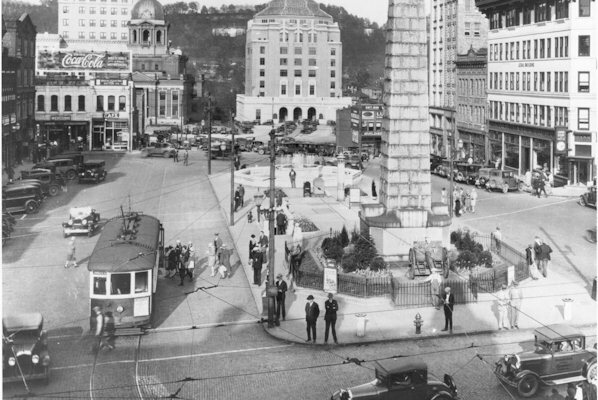 In the mid 1930s, Asheville struggled to recuperate from the Depression and plans were made for two projects which would add someday to Asheville's reputation as a tourist destination throughout the world. Under the Franklin D. Roosevelt administration, construction of the Great Smoky Mountains National Park and Blue Ridge Parkway gave much-needed employment to members of the Civilian Conservation Corps (CCC). Despite Asheville's suffering, the Land of the Sky reaped unrivaled architectural benefits from the Great Depression. After the Stock Market Crash in 1929, many cities chose to default on Depression-era bonds and liabilities. Asheville city fathers decided to pay back every dime of the city's debts. Many generations paid the price for this decision until the slate was cleared in 1977. Until that year, Asheville had no money to invest in "urban renewal" so popular during the 1950s and 1960s in other cities. The commitment to debt repayment saved from the wrecking ball dozens of Art Deco buildings erected during the city's boom decades earlier. Asheville has recently invested millions of dollars for new construction and renovation to bring the district back. Saving the many classic buildings that contribute to the architectural diversity of downtown Asheville remains an important goal for the city. The church community, at the heart of Asheville history and architecture, reveals powerful stories of sanctuaries and the architects who constructed them. Spanish designer Rafael Guastavino incorporated distinctive stylistic techniques to construct the St. Lawrence Catholic Church in 1909, recently awarded the distinction of minor basilica. Sheathed in pink, green, brown and white tiles, two Spanish Baroque towers distinguish the church as a true architectural masterpiece. Using a method he devised called "cohesive construction," Guastavino built a dome measuring 52 feet by 82 feet—the largest unsupported tile dome in the United States.